Design thinking has become a management fetish: it is heralded to be the next step for innovations, a cure for the worn out spread sheet management. It is also discerned from designing: designers ‘design’, but many people ‘design think’, including managers. Though I am a great fan of design thinking, I also have my doubts whether it is truly understood what design thinking is and what it can do. Below I will retrace the roots of design thinking, and show that it is actually a way of approaching problems by means of doing. As a result I will put the activity of designing back as the tenet of design thinking. Most contemporary writers put the bearings of design thinking in the seminal book of Herbert Simon, “the sciences of the artificial”. He highlighted that in science a fundamental characteristic of human thinking is ignored, namely design. In brief Simon discerned three kinds of human problem solving. Firstly there is the method of analysis, whereby the premise is that once a problem is understood deeply, the solution will be clear. It is not hard to recognize scientific endeavors in this, but also on many other topics. Just consider the many political committees that intend to ‘get to the bottom why a policy isn’t working’. Secondly there is the stance to deal with problems by way of decision making. This view assumes that problems are a mainly a problem of choosing wisely amongst alternatives. Should we spent our money on A, is it better spent on B, or should we divide it somewhat? This kind of problem solving is the tenet of classical MBA thinking. A third way of dealing with problems is design. Simon did not considered humans as rational beings, always choosing wisely and rationally; he embraced a worldview that humans have a ‘bounded rationality’. They deal with problems by means of sufficing (“this will do”), rules of thumb (“if this happens, do that”) and design. He defined design as devising courses of actions to change situations into preferred ones: the briefest and most accommodating definition of design I ever found. But for Simon ‘design’ was an activity deployed by all every once in a while. When we cook without a recipe we ‘design’; when choose a new wardrobe in a shop, we ‘design’. Lawmakers ‘design’ laws, managers ‘design’ processes…. Yet despite that Simon truly was an advocate for design, his book foreshadows the implicit divide in design thinking that still reigns today. Herbert Simon was not a designer, he was a Nobel prize laureate in economics with a profound interest in human and artificial intelligence. He understood the relevance of design for human progress, and had great notions on topics like problem representation. At the same time he proposed methods for improving designing, using words like ‘optimization’, and ‘sufficing’. As a result the design community responded not enthusiastically, to put it mildly. They considered their profession related to ‘Art’, and strived for ‘Quality’. As a result the ideas of Simon on design were opposed, ridiculed and named ‘technocratic’ and ‘rationalistic’: precisely what Simon not intended. It went off the radar in the community of designers, but outside the community Simon was not forgotten. On the contrary. 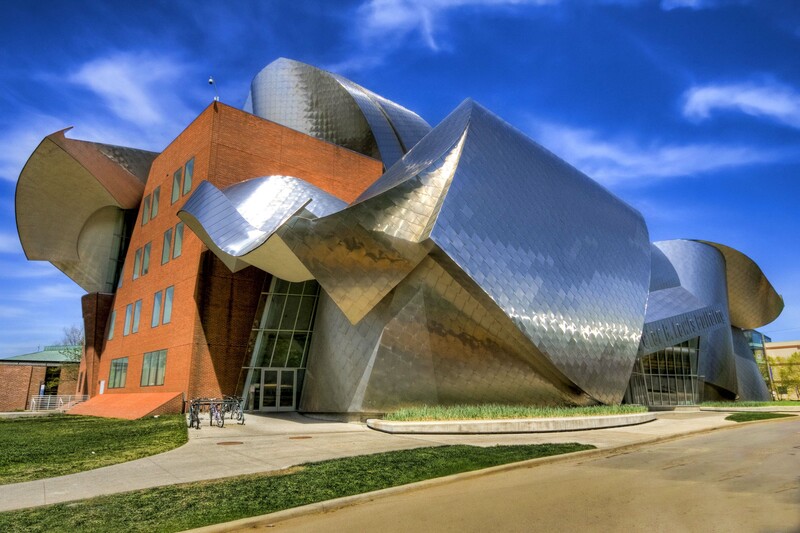 In 2002 the new building for the Weatherhead school of Business was occupied, a design by Frank Gehry. Richard Boland and Fred Collopy interacted heavily with Frank Gehry, and were turned upside down with the way how Gehry framed problems, refused to jump to conclusions too quick and let them reconsider a vision upon the entire school, far beyond merely the building. They became instant fans for design thinking, and organized a conference with many contemporary management thinkers. As a result a fundamental book on design thinking was written: “Managing as designing”, placing Simon as the locus classicus. Crucial is that it positioned design thinking in the realm of management, organizations and business, outside the world of design and architecture. It gradually gained momentum, and was popularized amongst others by Business Week, Roger Martin and Tim Brown. Nowadays we can witness that design thinking is adopted by management gurus as ‘the next good thing’, defining it as approaching managerial problems as designers approach design problems. Curiously designers are more and more in the periphery of this school of thought, apart from Tim Brown. One can say, management hijacked designing thinking from designers, as some claim that ““Design thinking isn’t done by designers”. Is this a good thing? To be honest, I consider it a mixed blessing. Surely I like the idea of senior managers who are having a workshop to design a new business program. Surely I love to read all these stories about great innovations as a result of design thinking within companies. But I think a categorical error is made: the very nature of designing is overlooked. Designing is rooted deeply into practice. By means of sketching, making quick models, visualizing, experimenting, acting, and narrating proposals are made. As a result of these actions, one can learn both what the problem is, and what the solution is. As Kees Dorst remarked, in the activity of designing both problems and solutions coemerge. It is thinking / doing / reflecting / thinking /doing / reflecting and so on. A ongoing stream of actions, experiences and reflections. The categorical error that is made, is that designing is considered a thinking process preceding activities: the paradigm of “think first, design next”. It is not, and it will never be! As a result design thinking -a remarkably badly chosen word!- is not about thinking only: it also includes experimentations, visualizations, modeling, talking, reflecting as well. Design thinking is an prolonged and ongoing activity, and the key premise is that problems are complex, ill defined, ill structured, hidden, wicked. For that reason one resorts to experimenting and learning-whilst-doing. It is not that in workshop of two days a strategy / product / service / business is ‘designed’, which merely needs to be executed. This ‘execution’ of ideas is part of the design thinking cycle. If a new service is designed, please act it out to ‘feel it’, experiment with it, do a sort of customer trial.. Keep looking, keep reflecting, keep improving, keep changing it. That is design thinking. If the ‘design thinkers’ are cut off from this phase, it is not about design thinking anymore, it is about bad management… Also Herbert Simon became aware of this ‘rooted into practice’. In his later editions of his book he added some metaphors like painting with oil paints, whereby the paints mix whilst painting. Only by the cyclical process of putting a stroke of paint on the canvas, and taking a step back to reflect, one can make a painting. A painting is not designed fully a priori! Design thinking is practice based, and an inevitable consequence is that it is a skill that only is acquired by doing. Like playing piano, painting, cooking, chess playing and so on, it is a skill that only can be acquired by years of doing; by collaborating with skilled designers; by actively adopting a learning stance. Boland and Collopy rightfully can be addressed as the originators of managing-as-designing. But they became advocates as a result of their collaboration with Frank Gehry, a design thinker with decades of experience. Everybody designs / ‘design thinks’ every once in a while, but to become a master of design thinking a two day crash course will not do the job, nor reading the book of Tim Brown. Like piano playing, it takes years of practice. If organizations cannot wait for that long a period, they can speed things up to hire experienced designers, architects or other creatives that see the world as world full of opportunities, and love to experiment!